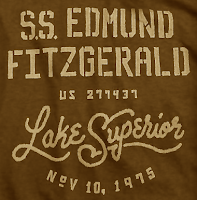 Next Tuesday will mark the 40th anniversary of the final voyage of the SS Edmund Fitzgerald, which occurred on November 10, 1975. The freighter went down in a storm on Lake Superior, taking all 29 on board. 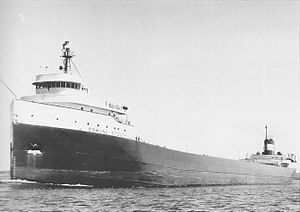 The SS Edmund Fitzgerald was launched on June 8 and made her maiden voyage on September 24, 1958. She was one of the largest ships to traverse the Great Lakes at 729-feet, and also the largest ship to have sunk there. 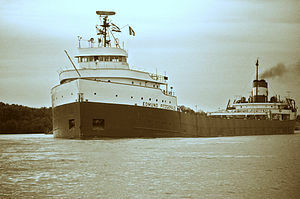 The ship mainly carried iron ore from the mines near Duluth, Minnesota to the iron works located in Detroit and other ports on the Great Lakes. Round trips usually took her five days, and she made between 45 and 50 trips a season. It was estimated that she had made close to 750 trips during her 17 years on the Lakes. The Fitzgerald set numerous hauling records, many times besting her old records. On November 9, 1975 the Fitzgerald departed from Superior, Wisconsin loaded with 26,116 tons of ore pellets, and heading to Detroit. Her captain was 63-year-old Ernest M. McSorley, a Canadian with over 40 years experience on the Great Lakes. 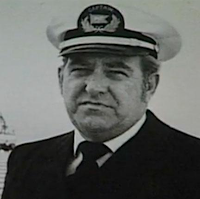 McSorley had taken over as captain of the freighter in 1972. This was to have been his final voyage before retirement. At 1:00 a.m. on November 10, the ship reported winds at 52 knots and waves about 10 feet high; she was 20 miles south of Isle Royale. 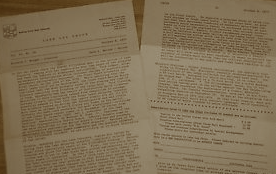 At 7:00 a.m. another weather report was issued from the ship. 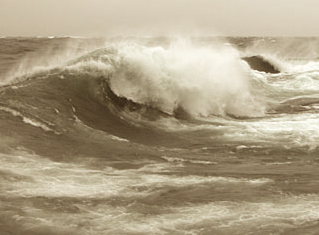 This time winds were at 35 knots and waves were holding at 10 feet. The ship would not make another weather report. 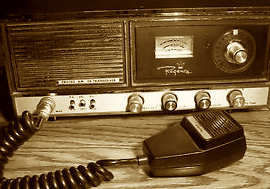 It was 3:30 p.m. when Captain McSorley radioed to the SS Arthur M. Anderson, another ship also out in the storm, reporting damage and requesting that the Anderson stay close until the Fitz could get to Whitefish Bay Michigan. 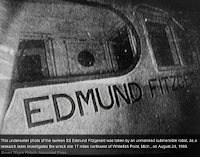 Around 7 p.m., the Anderson radioed that it was following the Fitzgerald, lagging about 10 miles behind. 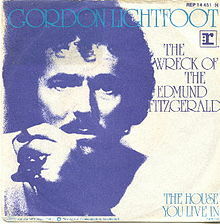 When asked how McSorley was “making out with your problem?” He replied, “We are holding our own.” It was the last transmission that would come from the Edmund Fitzgerald. The ship hit a squall at 7:15 p.m. and 10 minutes later, the Fitzgerald vanished from radar. At 2 a.m. on November 11, the William Clay Ford arrived at the site where the Fitzgerald went down – 17 miles northwest of Whitefish Point, Michigan. There were no survivors. 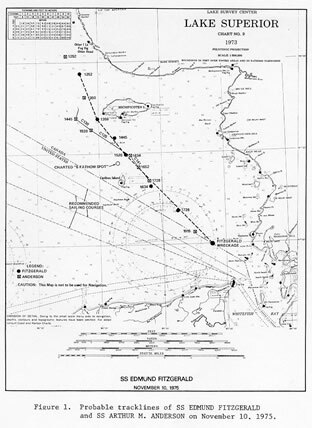 It was later reported that winds reached 45 knots where the Fitzgerald had last been reported, with waves as high as 30 feet. 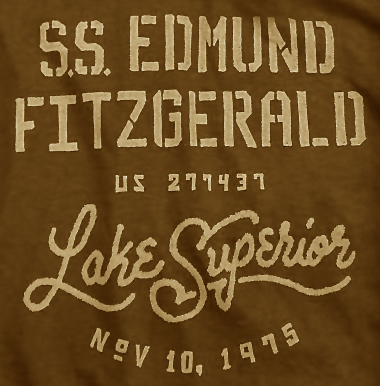 In May 1976, the wreck of the Edmund Fitzgerald was officially identified. Its final resting place is about 520 feet underwater in Lake Superior. Divers reported that both water pumps were damaged on the ship, and the lifeboats had been destroyed by the storm’s force. Many speculate that the ship was taken down by huge waves swamping or pushing the Fitz underwater. Numerous expeditions have been conducted at the wreckage site over the years. 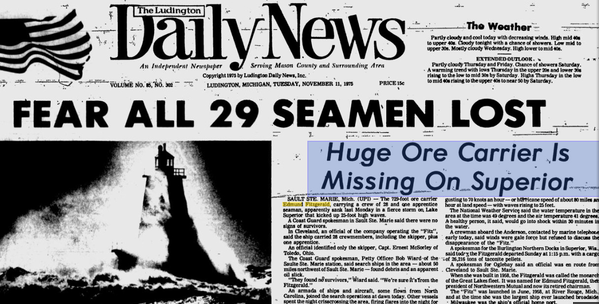 The U.S. Coast Guard rejected a preliminary report of faulty hatches in 1978. 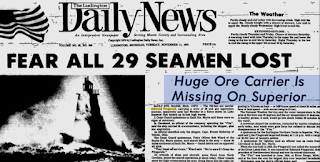 To this day an actual reason for the ship’s sinking remains undetermined. The ship’s bell was raised in 1995 and restored. 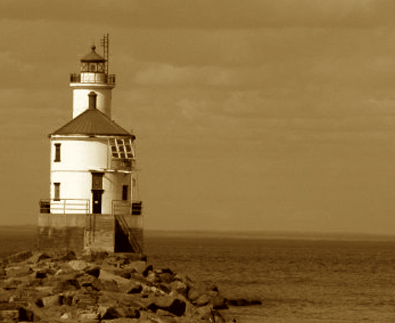 It now rests in the Great Lakes Shipwreck Museum in Whitefish Point, Michigan. 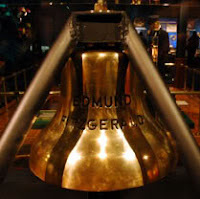 Each November 10th the bell tolls 29 times in memory of the 29 crewmen who died that fateful night. 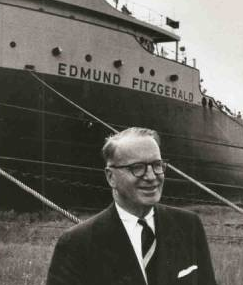 It is now forty years later, and the wreck of the Edmund Fitzgerald is still one of the greatest tragedies, and biggest mysteries to have ever occurred on any of the Great Lakes.